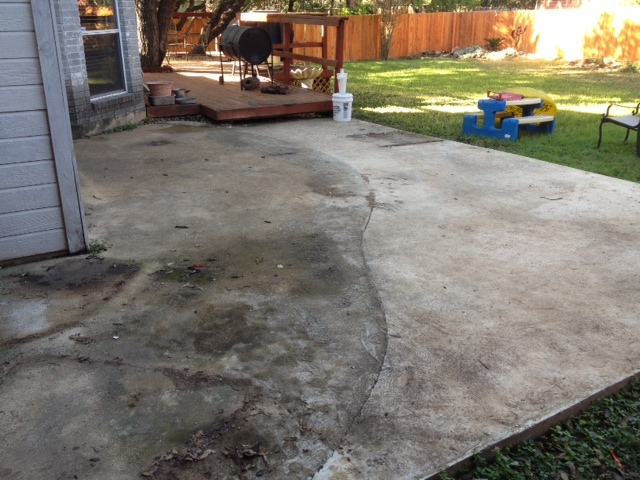 When concrete is in very bad condition cosmetically, the easiest way to repair the concrete is by resurfacing it. Concrete resurfacing involves: grinding the concrete to acheive a proper surface profile so the material will bond to the existing concrete, we then apply a base coat, and then a smooth coat or another base coat (depending if you want it rough or smooth). 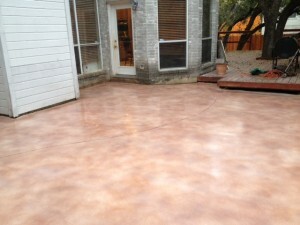 The patio we worked on this week had a lot of things wrong with it. The first thing was it was very rough with a lot of pits that had to be repaired. We then ground the concrete to prepare it for the resurfacing material and to even out the construction joint where the two slabs butted up to each other. After resurfacing the concrete, we applied a stain and sealed the concrete. 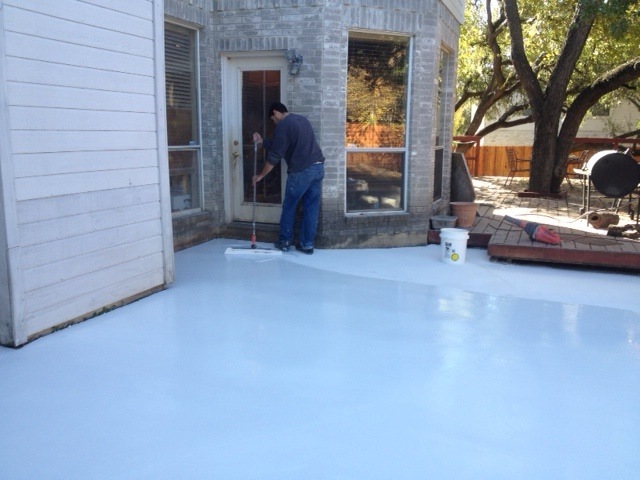 Once the patio was sealed we came back and re-scored the construction joint and filled with a self-leveling polyurethane. 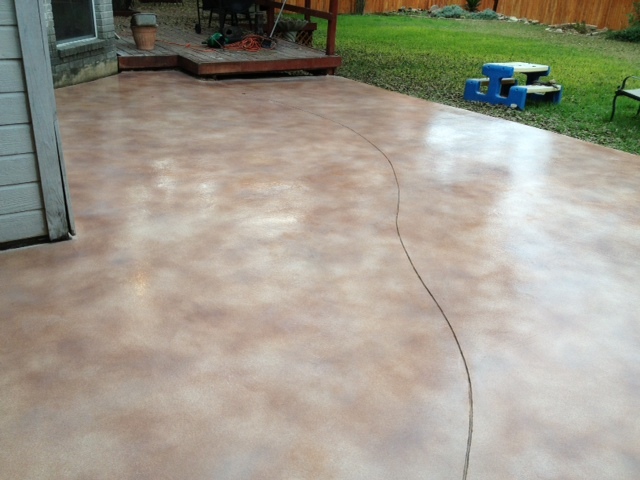 This entry was posted in Concrete Staining, Resurfacing Concrete and tagged concrete repair, concrete resurfacing, concrete staining, Repairing Concrete, resurfacing concrete by mlatimer4351. Bookmark the permalink.